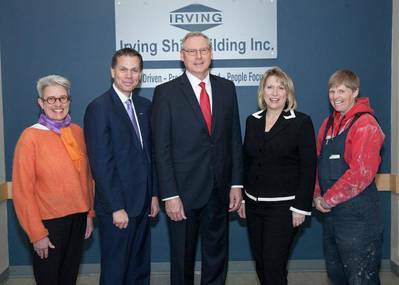 Irving Shipbuilding has partnered with Women Unlimited to provide education funding and job opportunities to 20 women who will participate in the welding and metal fabrication program at the Nova Scotia Community College (NSCC) Akerley Campus. 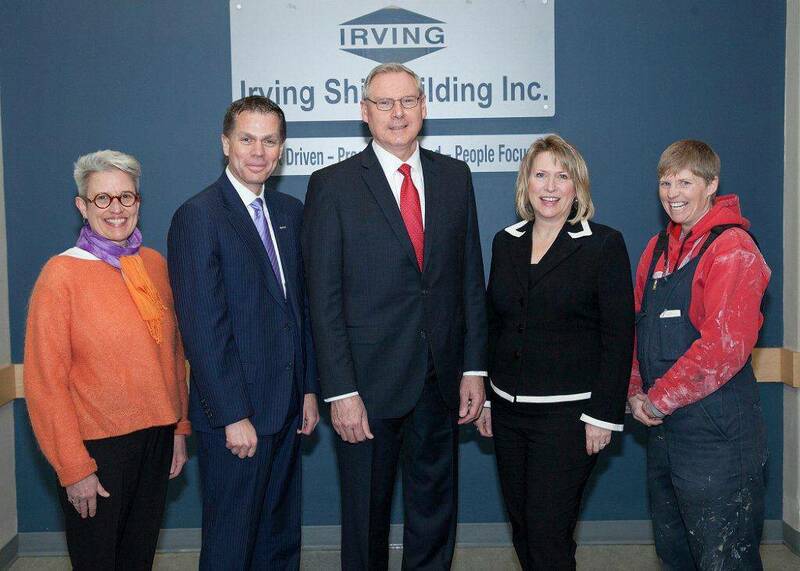 The partnership is an outcome of Irving Shipbuilding's Centre of Excellence funding announced in October 2012. The mandate of the Centre of Excellence is to provide Nova Scotians, with particular focus on under-represented Nova Scotians, with applicable programs and training to optimize opportunities to work in the marine industry. The Centre of Excellence has representation from the Department of Labour and Advanced Education; Department of Education; the Women, People with Disabilities, Aboriginal, and African Nova Scotian Communities; Unifor; Irving Shipbuilding; and NSCC, who have all endorsed this first initiative. Priorities for the Centre of Excellence are focused on academic readiness, post-secondary program access, and workplace readiness. Irving Shipbuilding said 20 applicants will be provided 50% tuition funding over the course of four semesterrs (two years) from Irving Shipbuilding to complete the welding and fabrication program at NSCC. Prior to starting the NSCC program, the successful applicants will complete a 14-week pre-academic career readiness program with Women Unlimited. The Women Unlimited readiness program starts in March 2015 at NSCC Akerley campus. The welding and fabrication program starts in September 2015. Women Unlimited, funded by the Nova Scotia Department of Labour and Advanced Education (Skills & Learning Branch), is now recruiting for qualified candidates. Successful graduates who meet employment eligibility criteria will be employed by Irving Shipbuilding at the end of the two-year diploma program as positions become available in 2017 and beyond.